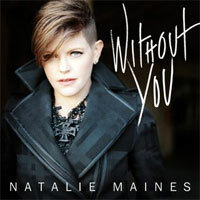 The divorce between country music and Natalie Maines happened a long time ago and the transition towards discovering her new niche has been a lengthy process. The importance of TAKING THE LONG WAY and its wider industry appreciation cannot be underestimated in the life and career of Natalie Maines, often cast as a polarising figure which has to be said has been debated extensively in the past. However with this debut solo release, MOTHER may just be the catalyst to open a new chapter in the same way that the last Dixie Chicks album closed one. Much has been muted about Natalie’s migration to rock, which you could say began when the band sought solace in the studio of Rick Rubin to record their 2006 Grammy winning album. While undeniably MOTHER has considerable rock undertones, to say a simple statement such as this defines the record is unfair to the multitude of influences absorbed into the making of this album. 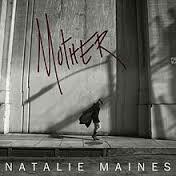 Just as elements of the alt-country music movement free themselves to experiment, thus merging into the all-encompassing Americana genre, Natalie Maines is following a similar path. A return to Nashville may not be a too distant possibility, but this time it will be at the invitation of the AMAs rather than the CMAs. The Americana movement will definitely sit up and take notice of this release due to its careful selection of interesting tracks from iconic rock figures and mixing them effectively with new material emerging from diverse sources. All ten tracks on this, 45 minute long, album have an air of sophistication that showcase Natalie’s unmistakeable vocals and the influence of co-producer Ben Harper. The trio of covers that launch the album include delving into the more recent work of Pearl Jam’s Eddie Vedder with an excellent version of ‘Without You’ borrowed from his ukulele album and a familiar but well executed take of Pink Floyd's ‘Mother’. The laid back vibes of the album’s introduction continue with ‘Free Life’, a song by Dan Wilson who has worked with Dierks Bentley in the past and co-wrote ‘Not Ready to Make Nice’ with Maines. The influence of Jeff Buckley is celebrated in a re-work of his classic break up track ‘Lover You Should’ve Come Over’ and alt-country fans will be delighted to listen to a version of The Jayhawks ‘I’d Run Away’. This is an excellent song to cover as it highlights the great way Gary Louris and Mark Olson have consistently blended good melodies, impressive harmonic backing vocals and an effective sound which combines elements of country with indie rock. Of the five original recordings, two have a ramped up sound with the co-vocals of Ben Harper on ‘Trained’ leading the track to stray a little too far into the explicit rock field. The style is similar in ‘Silver Bell’ which includes Patty Griffin in its writing credits and is definitely a step up in pace that feels unfamiliar to most of her work that I have sampled. There is a continual sound of slide guitar throughout the album with perhaps it being most prevalent in the epic strains of ‘Veil in Vein’. Album closer ‘Take it on Faith’ adopts a ballad stance and is a little more diverse in its sound with the addition of organ, cello and violin. The Dixie Chicks chapter of Natalie’s life is far from closed as evidenced by the select festival appearances this summer and the album does include a track penned by the trio with the help of Gary Louris. ‘Come Crying to Me’ was deemed to be too rock for the Dixie Chicks to ultimately cut but it quite easily could have found a home on TAKING THE LONG WAY. Perhaps the fact that Natalie, Emily and Marti have their names linked on a new release may still leave a chink of light for a more integrated future but in reality the sound migration suggests otherwise. The old saying can be adapted to state that ‘you can take the girl out of country but you can’t take country out of the girl’. This in my opinion applies to Natalie Maines, who will always retain a little bit of that influence as there is still that unmistakeable sound that makes you sit up and listen, rather than the damning ‘shut up and sing’. Maybe her true home is in the Americana movement but wherever it lies, an exciting new future for her career has started.